A fast-paced, action-packed show, full of laughs and audience participation, THAT’S THE WAY TO DO IT! Mr Punch has got it right. Judy, the Baby, the Butcher, the Policeman, the sausage-eating Crocodile and Joey the Clown, have been thrilling audiences of all ages for over 350 years. From the streets of London, to the Seaside, and now appearing at Schools, Birthday Parties, Fetes, Carnivals, Weddings, Victorian Events, Shopping Centres… in fact anywhere some Fun Entertainment is required. For Schools, Ron either presents the History of Punch & Judy, with a Show and then a look behind the scenes, or the Seaside Show, with seaside games, like Funny Fishing, the Bucket Race etc. and the Punch & Judy show. 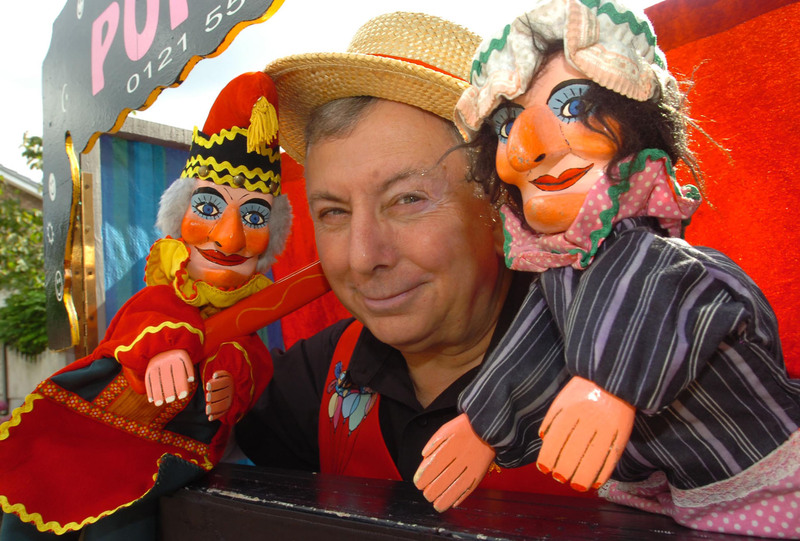 You can See Ron's Punch & Judy show at places like Sandwell Museum, Dudley Museums, Severn Valley Railway, Kidderminster Carnival and Wolverhampton Shopping Malls. Look forward to seeing you at one of the events. Come and say hello.